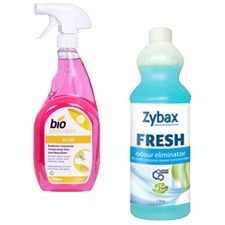 The Odour & Stain Control range is designed to remove malodours, destroy bacteria and work on dried in stains. All products have been carefully selected to work on biological stains and odours, such as urine and vomit, both fresh and dried in. Super Absorbent Powder is also available, which turns bodily fluids into gel, ensuring safe transportation of liquid waste.